Multi-Morphic Hooping: Welcome to this UNIQUE and SUPER FUN stage act! Blending technical illusions and amazing geometry with the art of Native American Hoop Dance. 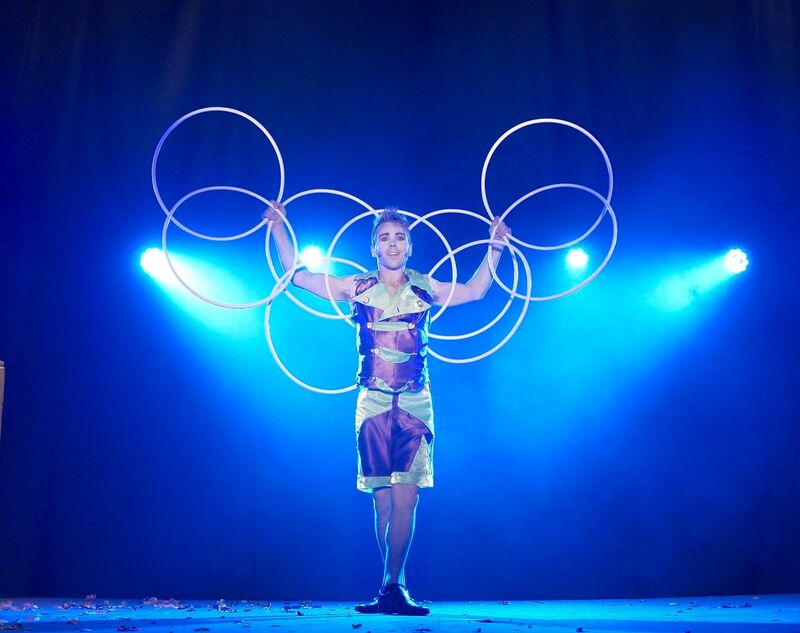 This spectacular solo act uses up to 21 hoops locked together in shapes you must see to believe! Costume and act theme can be customized to any show. Dramatic and mesmerizing, or hilarious and comedic – Rewi has mastered multiple styles to make sure the audience loves this act just as much as Rewi does himself. Rewi HoopHooligans Morphic Hooping in "Voila!"